As a breeze on the Sea - Cherry Colors - Cosmetics Heaven! 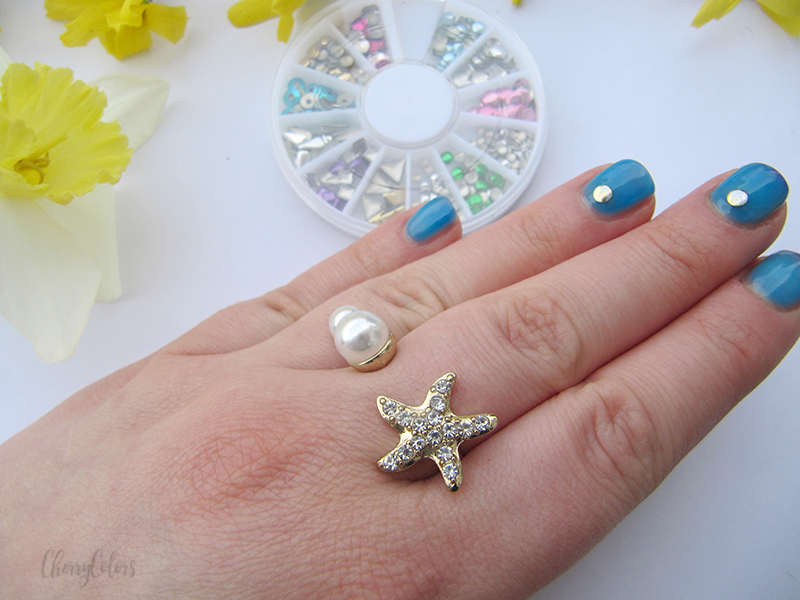 A long time ago I received this Pearl & Starfish ring from the Lady Queen Store. 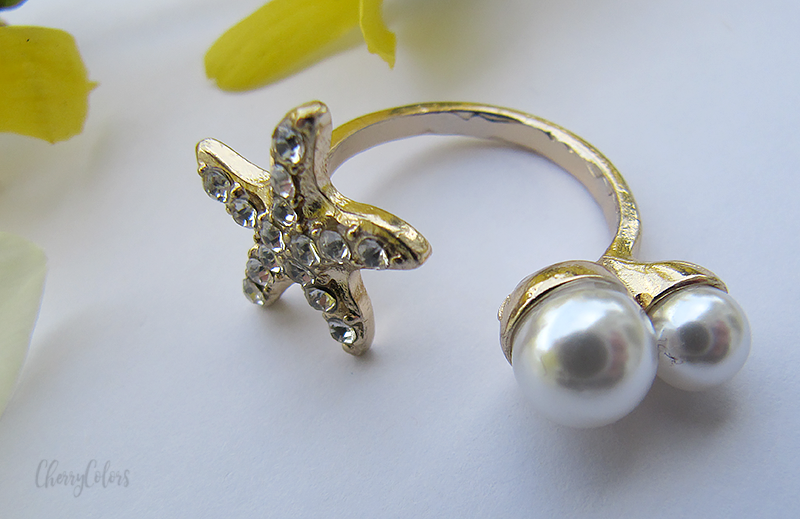 Of course, I completely forgot about the ring during the Winter months, but now, I remembered that I have it. And since it's less than $2, I think it's a great "steal". Nothing fell off, nothing got discolored and it looks interesting. Which is great by my book ;). 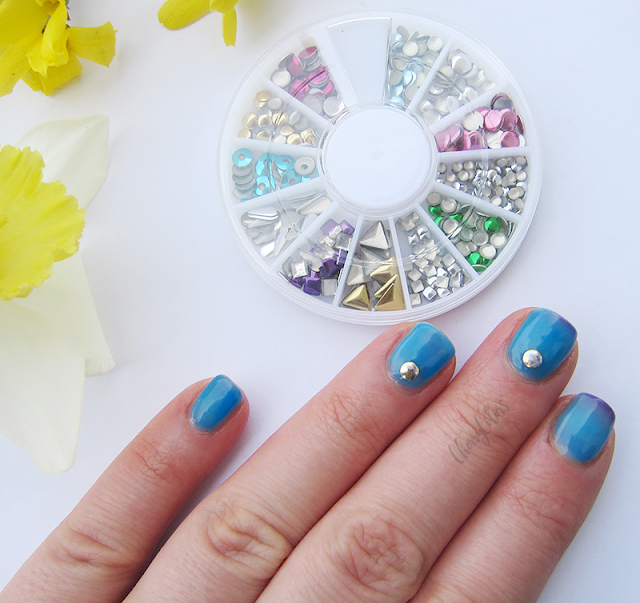 The second product I received from the store was the 3D wheel with several colored nail studs. I was ecstatic. So pretty, so colorful! 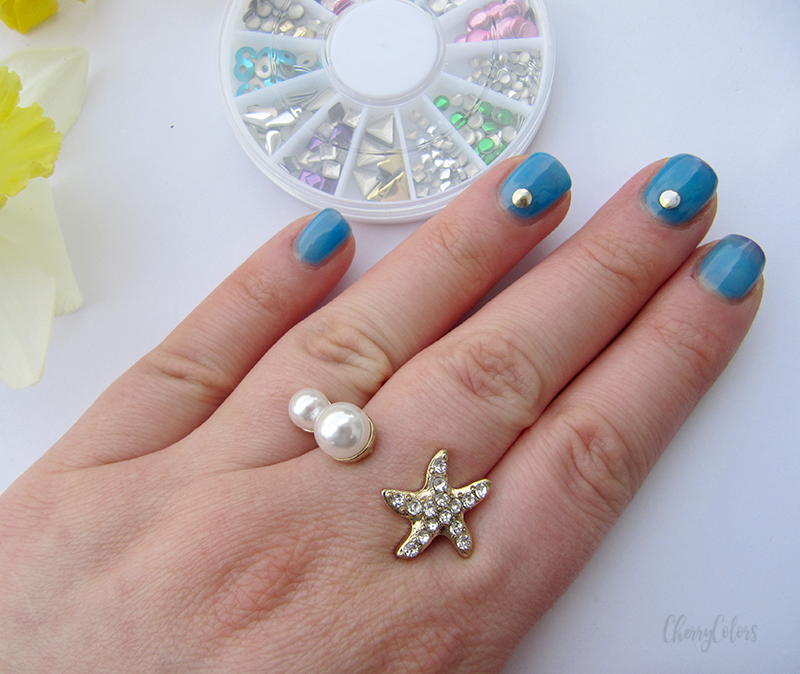 But, the studs start to loose color just a day or two into the manicure. It must be "wear" damage, because the color on the studs starts to disappear in patches. And honestly, even if it may be inexpensive, priced at $4.55, I don't think it's really worth it. Unless you change your manicure every second day. If you want to buy something from the Lady Queen store, you can use the code below (I'm not affiliated). These products were sent to me by the company itself or its PR. For more information, please do read my Disclosure Policy. My opinion is always honest.